The German government said Friday it took a minority stake in electricity transmission firm 50Hertz for "national security" reasons, thwarting Chinese investors from buying into the strategic company. "On national security grounds, the federal government has a major interest in protecting critical energy infrastructure," the finance and economy ministries said in a joint statement. Berlin has therefore tasked a public bank with purchasing a 20-percent stake put up for sale by Australian infrastructure fund IFM and which has been sought by China's State Grid. The unusual step comes as Germany views China's huge interest warily, following a string of high-profile investments by the Asian giant in sectors ranging from robotics to automobiles to finance. The Chinese group had already tried to take a minority stake in 50Hertz earlier this year. 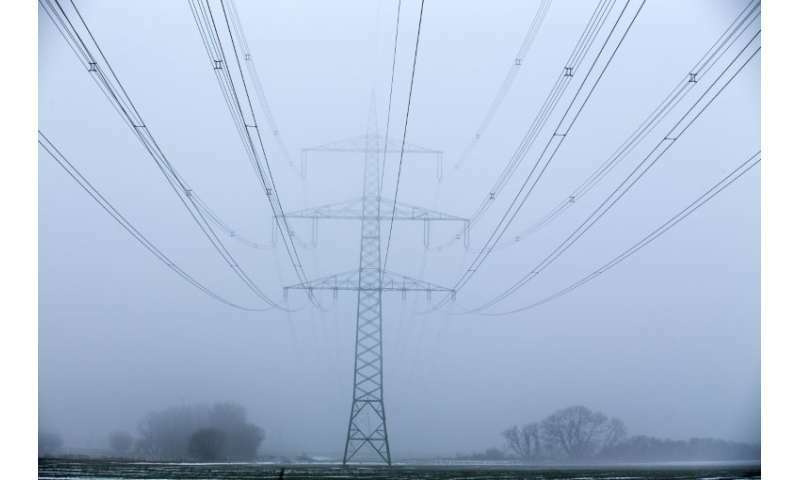 But their first attempt was blocked as 50Hertz's majority shareholder—Belgian power transmission system operator Elia—snapped up the stake and expanded its holdings to 80 percent. As part of a spending spree across Europe, Chinese companies have bagged airports, harbours and engineering firms. Germany, with its high-tech firms, has been a prime target. Earlier this year, Geely's billionaire boss Li Shufu shocked the country's coveted automobile sector when he took almost 10 percent in Daimler, which owns the Mercedes brand. A study by consultancy EY found Chinese companies bought 54 German firms last year and invested $13.7 billion in Europe's largest economy. Underlining German concerns over the spate of Chinese acquisitions, domestic intelligence chief Hans-Georg Maassen had said in May that "one won't need to spy if one simply buys up entire companies." But Beijing has insisted that it has no ulterior motives. During a visit to Germany in July, Prime Minister Li Keqiang urged Berlin to grant Chinese companies the access that German firms enjoy in China. "Our investments do not threaten your national security. Through joint projects, we want to learn from your experiences and technologies," he said. Not only Germany, but the European Union as a bloc, has been watching the Chinese advances anxiously. Chancellor Angela Merkel has also raised concerns over China's heavy investments in the western Balkans as part of Beijing's plans for a modern-day Silk Road. Current legislation in Germany allows the government to block an investment from a non-EU country only if the investor wants to take 25 percent or more. Berlin last year toughened rules for foreign takeovers, by extending the range of companies eligible for a probe under "critical infrastructure" provisions or considered to be developing "key technologies". In the case of 50Hertz, the government was unable to block the purchase outright as the stake concerned fell below the 25-percent threshold. It has therefore deployed the rare tactic of simply buying the stake. But Berlin said the measure would be "temporary" and that it intended to sell off the shares again in the future. Welcoming the government's move, 50Hertz said it showed "how fundamentally important the transmission network is as part of the critical infrastructure of our country." 50Hertz is one of four transmission system operators in Germany and ensures that 18 million people are supplied with electricity. Its grid covers the states of Brandenburg, Berlin, Hamburg, Mecklenburg-Western Pomerania, Saxony, Saxony-Anhalt and Thuringia. Friday's announcement came a day after media reports that Berlin is preparing for the first time to veto the takeover of a German company by Chinese investors for strategic reasons. Business weekly Wirtschaftswoche reported the economy ministry will prevent Chinese investor Yantai Taihai Corporation from buying Leifeld Metal Spinning. The 200-employee firm produces high-strength parts for the car and aerospace industries that also have nuclear applications. "The cabinet will make the decision on August 1," the magazine said. China's foreign ministry said Friday it was "paying close attention to the issue". It also said it "hoped Germany can take an objective view of Chinese investment and create a fair and open market, a mainstream environment, and a stable institutional framework for Chinese companies willing to invest in Germany."